State of the County | Williamson, Inc. The State of the County brings together the many departments that keep Williamson County running. Hear about recent and future projects around the county and how they serve to positively impact our community. 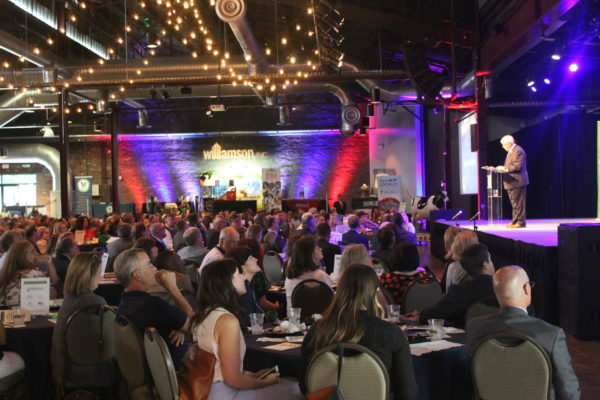 Williamson County Mayor Rogers Anderson is set to deliver his seventeenth annual State of the County Address to more than 300 business leaders on Wednesday, July 24, 2019 at 11:00 AM. The State of the County will bring together the many departments that keep Williamson County running. Hear about recent and future projects around the county and how they will serve to positively impact our community. Mayor Anderson’s Address will give an overview of how the county is performing on economic indicators such as financial health, education, public safety, transportation, job growth and employment, and capital investments. Mayor Anderson will also outline the county’s budget for the 2019-20 fiscal year. Please stay tuned for more information on location and sponsorship. In the meantime, please visit our 2019 Events Calendar to view all of our upcoming events.